Almost 11,000 years ago, a man died in what is now Nevada. He was wrapped in a rabbit skin and reed mats and buried in a place called Spirit Cave. Scientists have now discovered and analyzed his DNA, along with that of 70 other ancient humans whose remains have been discovered throughout America. The results give a story lost to prehistory, amazing details: how and when people spread in the Western Hemisphere. The earliest known arrivals from Asia have already split into identifiable groups, according to the study. Some of these populations flourished and became ancestors of indigenous peoples throughout the hemisphere. But other groups died out completely leaving no trace beyond what one can recognize in the old DNA. In fact, the new genetic research points to many dramatic chapters in the peoples of America that archeology has not yet discovered. "Well, that's the bottom for archaeologists," said Ben Potter of the University of Alaska involved in the new papers. "Holy Cow, that's great." Earlier studies had shown that at the end of the last Ice Age, humans had moved to America and traveled from Siberia to Alaska across a land bridge now under the Bering Sea. They spread south, eventually reaching the tip of South America. Until recently, geneticists could give little insight into these formidable migrations. Five years ago, in the Western Hemisphere, only one ancient human genome had been discovered: that of a 4,000-year-old male discovered in Greenland. The latest analysis, published in three separate studies, marks a turnaround. In recent years, researchers have obtained the genomes of 229 ancient humans from teeth and bones discovered throughout America. The first girl described in January by Eske Willerslev, a geneticist at the University of Copenhagen, was a 11,500-year-old girl whose remains were found in eastern Alaska. The second was discovered hundreds of miles away in western Alaska and lived 9,000 years ago, Dr. Willerslev and his colleagues on Thursday in the journal Science. The ancient Beringians separated from the ancestors of In America, the indigenous people lived about 20,000 years ago. The new findings suggest that they have existed for several thousand years. Then they disappeared and left no known genetic traces in living humans. Another migrant wave from Siberia did not stop in Alaska. They moved on and finally arrived south of the Ice Age glaciers. Then they split into two branches. One group turned north and followed the retreating glaciers to Canada and back to Alaska. The other branch undertook a remarkable journey south. Genetic data suggest that this group spread rapidly across much of North America and South America nearly 14,000 years ago. The expansion may have lasted only centuries. "It's basically an explosion," Dr. Willerslev. The man from the Spirit Cave in Nevada belonged to this so-called southern branch of the migrants. He was also closely related to a 12,700-year-old boy who lived on the other side of the Rocky Mountains in Montana. Willerslev, was found. But the man from Spirit Cave had also found a close genetic link between 10,400-year-old skeletons in Brazil on the other side of the equator. David Reich of Harvard University and his colleagues found a similar pattern in their own research, which was published Thursday in Cell magazine. They discovered a connection between the old Montana boy and another group of old South Americans, including a 10,900-year-old skeleton in Chile. Like the work of Dr. Willerslev suggests that relatives move quickly from North America to South America. "We agree that this needs to be a fast delivery," Dr. Rich. Dr. Reich, on the other hand, sees evidence of two waves of migrants that had completely displaced the people who had lived in South America. The new research also revealed cases of remarkable continuity that extended over thousands of years. Dr. Willerslev and his colleagues compared the genome of the man of Spirit Cave with those of four remains found in the nearby Lovelock Cave in Nevada that lived 600 years ago. All of these individuals were closely related but his team was found to have been separated by 10,000 years of history. A similar compound was found in the Andes. John Lindo of Emory University and his colleagues analyzed the DNA of seven people who lived in high altitudes 6,800 to 1,400 years ago. The researchers estimate that humans living over 7,500 feet in the mountains were separated from the lowland populations between 9,200 and 90,000 years ago 8,200 years ago. Even today, the mountain people have a strong genetic link to the remnants of antiquity. "This is not visible in most other regions of the world," said Dr. Rich. 2015, Dr. med. Reich and his colleagues found that some people living in the Amazon carry some DNA most similar to that of the people living in Australia and New Guinea today. The researchers speculated that their lineage was an unknown group that scientists called the Population Y, who came to America separately. 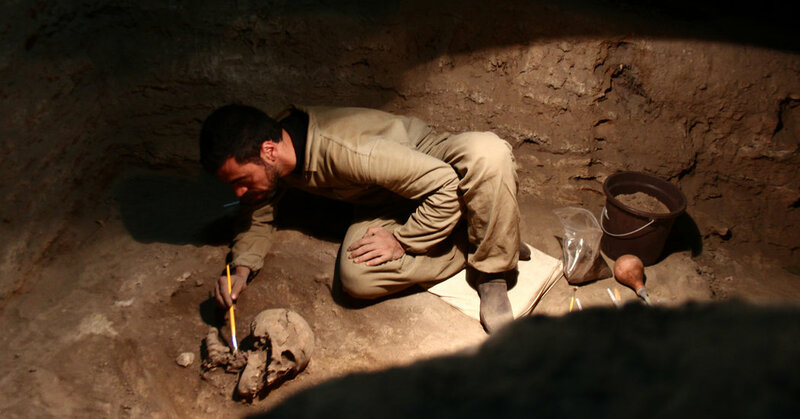 In her new study, Dr. Reich and his colleagues no trace of population Y Willerslev's team, however, managed to identify the DNA in some of the 10,400-year-old skeletons in Brazil. "The million question is natural, how did that happen?" Willerslev said. Perhaps another group of Asians arrived in front of the ancestors of the man from Spirit Cave and other early Native Americans in America. Maybe they mingled with the people of the Amazon before they disappeared completely. Or maybe some of the early members of the southern branch had random genes that survived for generations. Improving the relationship between scientists and indigenous peoples. For decades, many tribes have rejected applications from researchers for DNA. The man from Spirit Cave was excavated in 1940 by archaeologists and kept in a museum. The local tribe, the Fallon Paiute-Shoshone, did not learn about the body until 1996. They fought for years for the repatriation. "It is completely disrespectful," said Rochanne L. Downs, member of the tribal culture committee. "If someone had gone to Arlington Cemetery and dug a soldier's grave and received his medals, there would be outrage." Initially, the strain opposed the search for DNA in the skeleton because scientists would have to destroy much of it. Dr. Willerslev met with the tribe and explained that he only needed one tooth and a small piece of ear bone. The tribe agreed to give it a chance to find DNA in the Spirit Cave remains. Dr. Willerslev's findings prompted the Bureau of Land Management to hand over the skeleton to the tribe. They buried the man of Spirit Cave in an unknown place last year. Downs would not rule out similar studies in the future, but said every request needed careful consideration. "It will all happen on a case by case basis," she said. "The main thing is our respect for the remains."